How do I set up PayPal Pro API in Jotforms? 1. Is Jotform a PayPal partner? 2. I'm having difficulty adding PayPal's API information to Jotform's PayPal integration. Before I can use your setup wizzard, I have to set Jotform up in PayPal as a 3rd party. 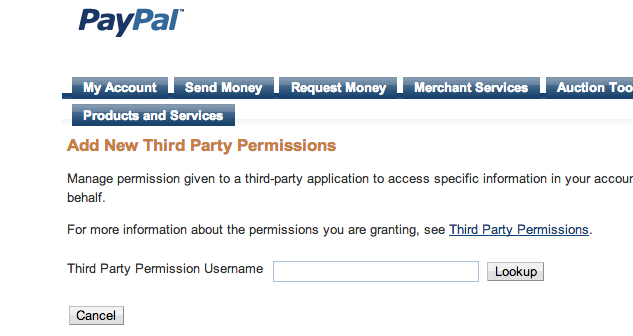 PayPal asks that I add a "new third party" (I already have one). Then it asks for the "Third Party Permission Username". What is yours? See screen shot. 3. I've spent all morning trying to find some help on your forum about this issue, yet nothing found of real assisance. e-junkie.com has a very simple and complete explanation about this matter for thier site. I wish you guys would offer the same sort of help. 1. No, but we uses paypal as one of our chosen 3rd party payment gateway. Paypal is the most secure method of payment. 3. Feel free to post your questions here on our support forum if you didn't find any reference related to your issue. We have few supports online 24hrs that'll answer your query. I looked at the post you referenced before but the current PayPal page is different. I really need jotform's "third party name" for PayPal before I can proceed, as I understand the set up procedure. It should be a common name for anyone setting up a PayPal Pro account in Jotforms. Sorry but your question is just new to me, seriously this is my first time to hear such case so I am not sure what processed you take to get your paypal APIs. I think all jot users was able get their paypal API details without asking for our third party name which I really don't have a clue. 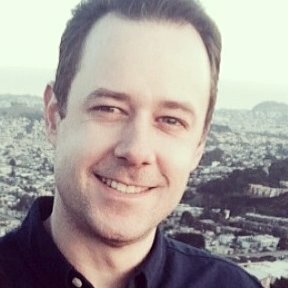 As far as I know the process for getting paypal API credentials isn't changed. I have also forwarded your question to our higher management. I think they can relate on this question since they might have paypal pro account but we would wait for your reply first. Thanks! The real issue for me is that I'm already using Mals shopping cart which has my PayPal api. I want to use Jotforms with its shopping cart for a special sale I'm having but I don't know if I can use the same api or not. "Yes, you can use the same API credentials in multiple sites, as long as they require the same type of credentials." I don't know yet if Mals and Jotforms require the same type of credentials. Based on the screenshot that you're trying to do is that you're asking for a username to provide other users access to your Paypal account. Is this correct? Unfortunately this isn't how the process works with JotForm. What you need to do is get your own API username, API password, and Signature. Then provide those details to your form's Paypal Pro element. Then add your products in the form and save your form. JotForm will then process your payment orders from your form to your Paypal account. Also, we do not currently have any integration features for Mal's e-commerce at the moment. We do not have a 3rd party name. We just connect to their API and process the payment there. I don't think there is a problem with integrating more than one product with PayPal Pro.